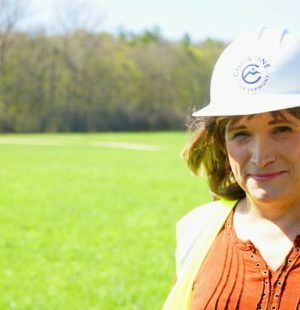 WASHINGTON – Vermont businesswoman Christine Hallquist is well-positioned to become the first transgender governor in the U.S. following her victory in the state’s Democratic gubernatorial primary on Tuesday. Hallquist, 62, is CEO of Vermont Electric Coop. She defeated four primary opponents in Tuesday’s contest and will face Gov. Phil Scott in the general election. Scott faces the unusual predicament of being a Republican at the helm of the nation’s most liberal state. Since taking office in 2016 Scott has embraced socially liberal policies while implementing austerity measures. Primaries were held in three other states Tuesday. State Rep. Illhan Omar is well-positioned to become the first Somali-American woman elected to Congress following her victory in the Democratic primary. Omar is running for the seat Rep. Keith Ellison (D) will vacate in January. Ellison won the Democratic nomination for Minnesota Attorney General on Tuesday. The district is reliably Democratic. Former Gov. Tim Pawlenty (R) will face Rep. Tim Waltz (D) in the general election. Recent polls showed a tight race in a hypothetical matchup. Pawlenty served as governor from 2003-11. He unsuccessfully sought the 2012 Republican nomination for president. Gov. Mark Dayton (D) has served two-terms and will leave office in January. Minnesota law prohibits the governor from exceeding two consecutive terms. Sen. Amy Klobuchar (D) will face State Rep. Jim Newberger (R) in the general election. A recent Emerson poll showed Klobuchar with a nearly two-to-one lead in a hypothetical matchup. Klobuchar has served in the Senate since 2007 and is regarded as a moderate-liberal. Klobuchar has been mentioned as a potential 2020 presidential candidate. Minnesota’s junior senator, Tina Smith (D), will face State Sen. Karin Housley (R) in the general election. A recent Emerson poll showed the two candidates neck-in-neck in a hypothetical matchup. Smith was appointed to the Senate in December following the resignation of Sen. Al Franken (D). Gov. Scott Walker (R) will face Superintendent of Public Construction Tony Evers (D). Recent polls showed Evers with a slight lead. Walker assumed office in 2011 and is seeking a third term. He is a staunch conservative. Walker garnered national headlines during his first year in office amid a contentious dispute with public sector employee unions over the collective bargaining rights of state employees. The dispute stemmed from the passage of legislation which made large budget cuts. The cuts resulted in teacher layoffs and decreased pension benefits. Protests over the law culminated in an unsuccessful 2012 initiative to recall Walker from office. Walker was re-elected by a comfortable margin in 2014. Democrat Randy Byrce and Republican Bryan Steil are vying for the seat House Speaker Paul Ryan (R) will vacate in January. The predominately white working-class district leans Republican. Two-thousand-sixteen National Teacher of the Year Jahana Hayes is well-positioned to become the first African-American Democrat to represent Connecticut in Congress following her primary victory. Hayes will face Ex-Meriden Mayor Manny Santos (R) in the general election.